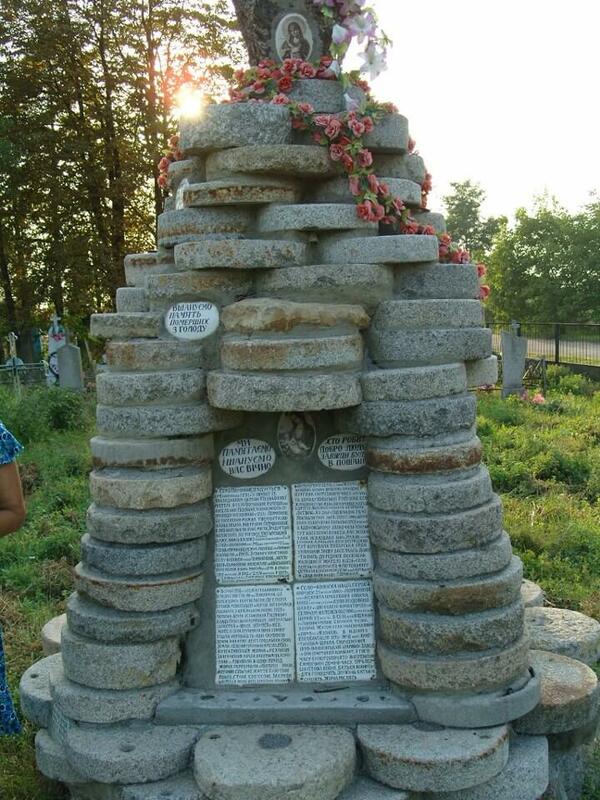 This monument was build by a villager from Viktorivka in Cherkasy. He collected all the millstones of households in which everybody died during the famine. The government doesn’t allow it in the village, so this man has set it in his garden. The path to this monument is never overgrown, and there are always fresh flowers. A lady from the village sent this photograph. This entry was posted in History on April 10, 2013 by RomanInUkraine.